“The Most Beautiful Car of the Year” is part of Festival Automobile International’s Grand Prizes. It is a very special prize for the public who chooses the winner. ON THE WAY TO THE FINAL! “The Most Beautiful Car of the Year” is awarded to a four-door sedan, a two-door sedan a mivan, an estate car, , a convertible or a SUV. The model must be registered in the competition by its manufacturer and marketed in the year with a retail price not exceeding €60,000. 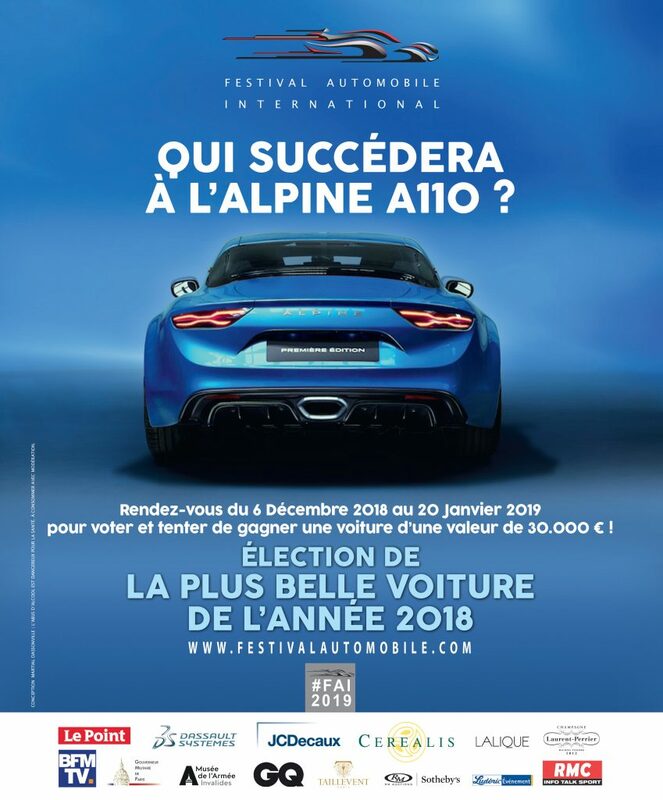 Managed by BFM TV and RMC, the public can appreciate the beauty and the design of the cars and vote on the special website. Over 7 weeks, 4 stages will eliminate one or two cars. The car that receives less votes from Internet users is eliminated. The counters are reset at each stage and users can revote to choose the car that will get the title! « The Most Beautiful Car of the Year » is choosen by the public who can win, after the random draw, a car worth € 30,000 (public price) offered by the winning manufacturer.